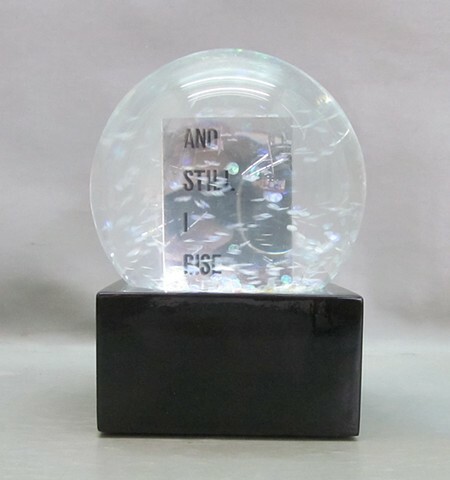 This snow globe contains the actual confetti, which had been loaded into air cannons and was poised to swirl down from the Javits Center ceiling, celebrating the election of the first woman President of the United States. It reflects the optimism of November 8, 2016. Hopefully it will inspire young women and little girls to break their own glass ceilings and to finally break that highest, hardest one.